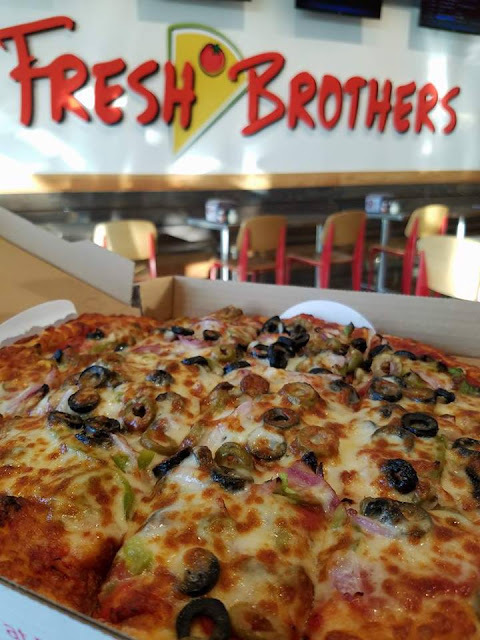 Have you tried Fresh Brothers yet? Yum - It was our first time and we loved it. We are big on pizza but when you can order tasty appetizers, salads and desserts it's just an added bonus. But wait... if you dine in you can also grab a beer and watch some sports on the many t.v. 's they have set up. 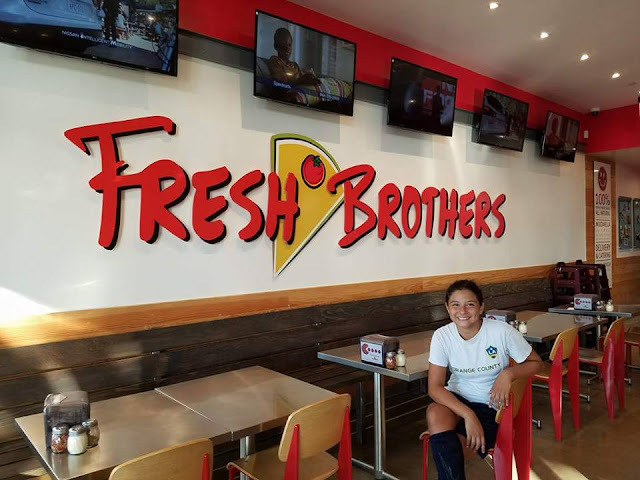 I heard Monday night football has become a family night at Fresh Brothers and while we were picking up our to go order it was about that time. On busy nights (4 or so week nights) we have school, soccer, training, o.t., homework and random stuff... but I still try to make or serve my kids tasty healthier foods. We called in a to-go order. It was so easy to order, pick it up and get home to a hot meal ready for my family to chomp down on. After soccer my 10yo can eat like a grown woman... she's as fierce as her hunger too. 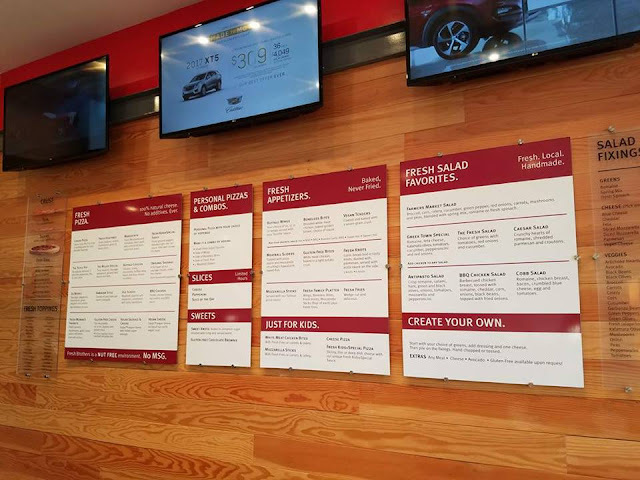 While the Fresh Brothers team put our order together we chatted with RJ the manager. He is really awesome. He told me how proud he is to work at Fresh Brothers not only because it's great food but because as a company they give back to their communities and take pride in bringing families together for food and fun. RJ mentioned they have the ability to host parties or group outings. The group would make their pizzas and eat them too. I love this! You can find out more about booking one here. Something else that RJ really stressed to me is the quality of ingredients in all their foods. 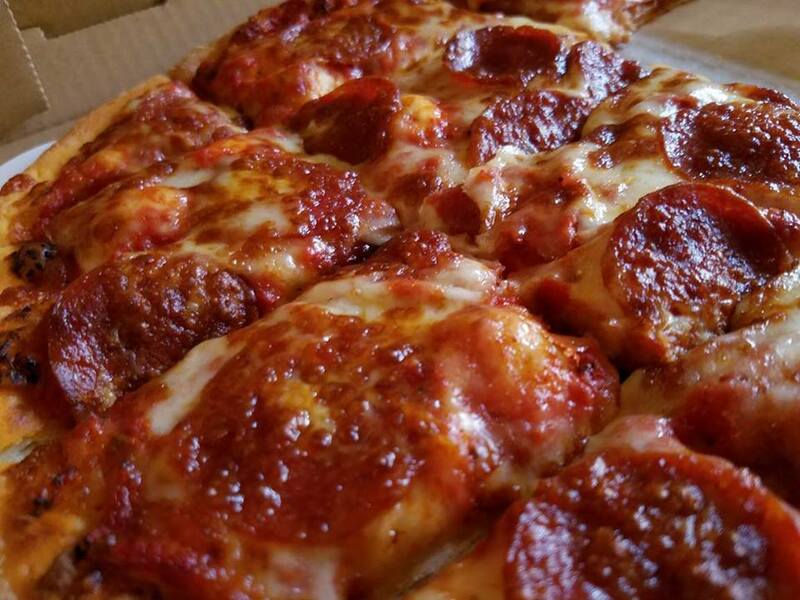 From pizza to salad and all the appetizers in between... even the pepperoni is all natural. That meant taking my pepperoni pizza home, I'd see much less grease, I loved that! I took some photos of the inside and it's pretty spacious. I can see why it fills up for game nights! We packed up and filled our car with the smell of tasty goodness. It was a long ride home smelling but not tasting haha! Wow! With a variety of eats Fresh Brothers packs on as much variety in their flavors. 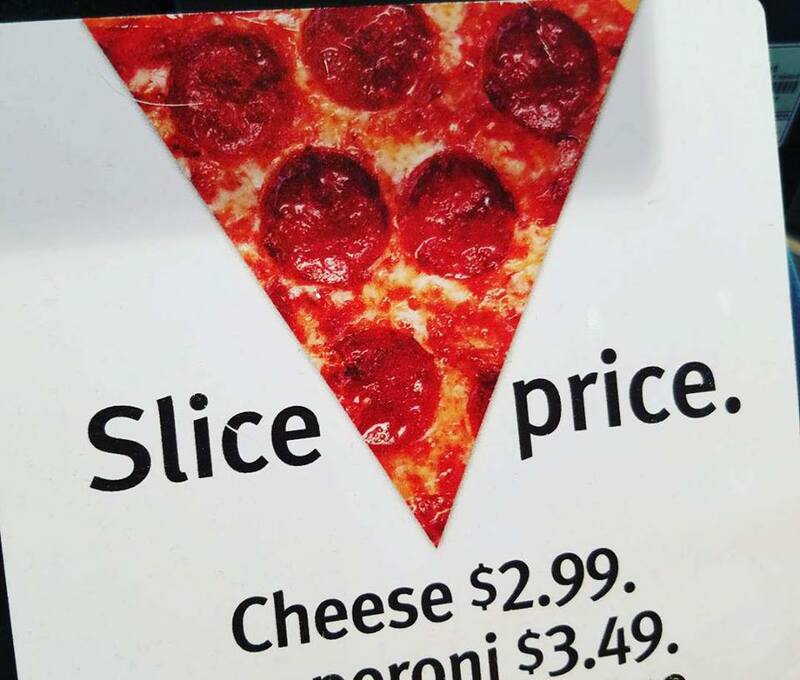 The pizza was amazing and we all loved the taste of freshness and toppings. 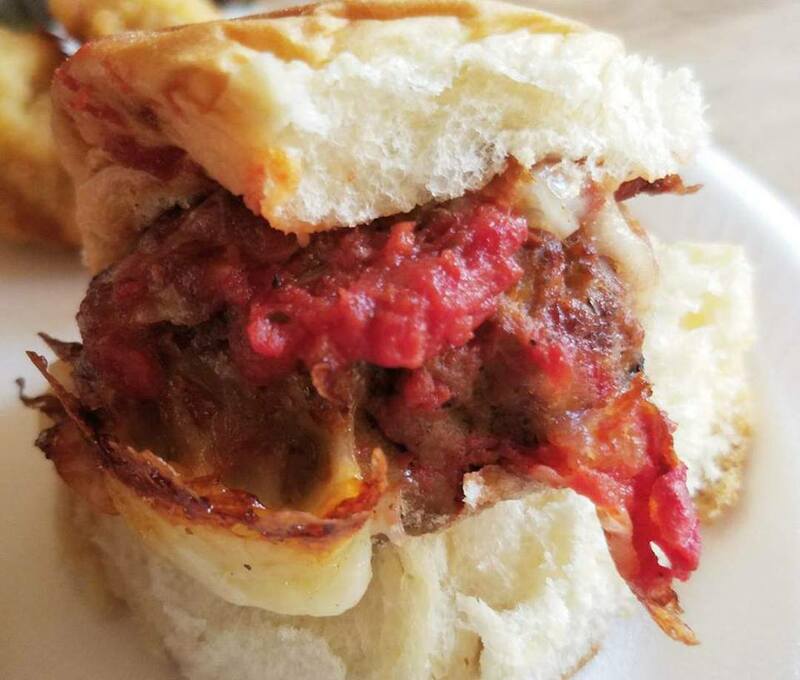 The sides were delicious on their own & the chicken parm sliders and beef sliders were a hit with everyone. The fresh green salad was perfect for the palate in between so many flavors between the pizza and the side dishes. Something that really stuck with me was that there is vegan cheese and gluten-free pizza crust so that anyone can really enjoy that may have a dietary need. 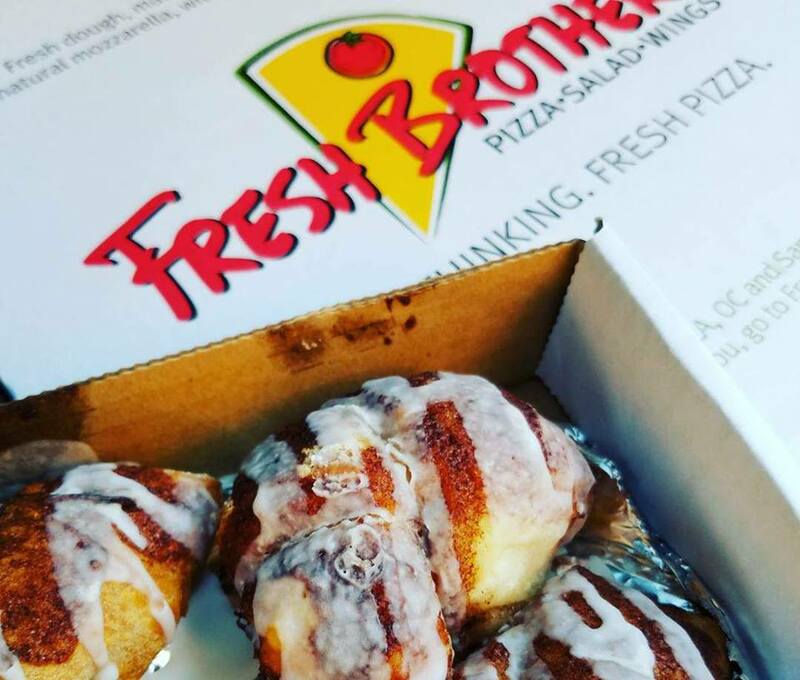 Fresh Brothers even has you covered for dessert to go! Check out these beauties! While we did not dine in this time I was totally encouraged by the chat RJ and I had to bring my family it. He said they like it fun, loud and full of good energy. I told him I appreciated that since my son is a wild one but with an amazingly crafty yet sweet heart. So... since I love that there is beer served and TVs everywhere so that families can plan a nice night out enjoying a favorite sport for the adults while the kids enjoy delish Pizza... I'm going to take the fam back for more but stay and dine in! 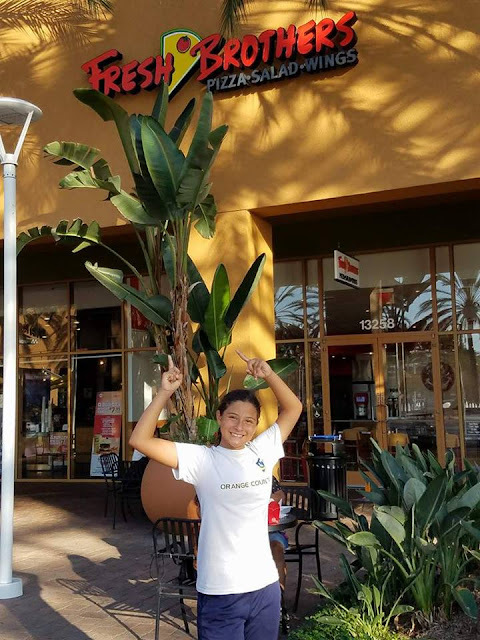 This month is perfect to repeat our visit.. it is National PIZZA Month!! YAY! 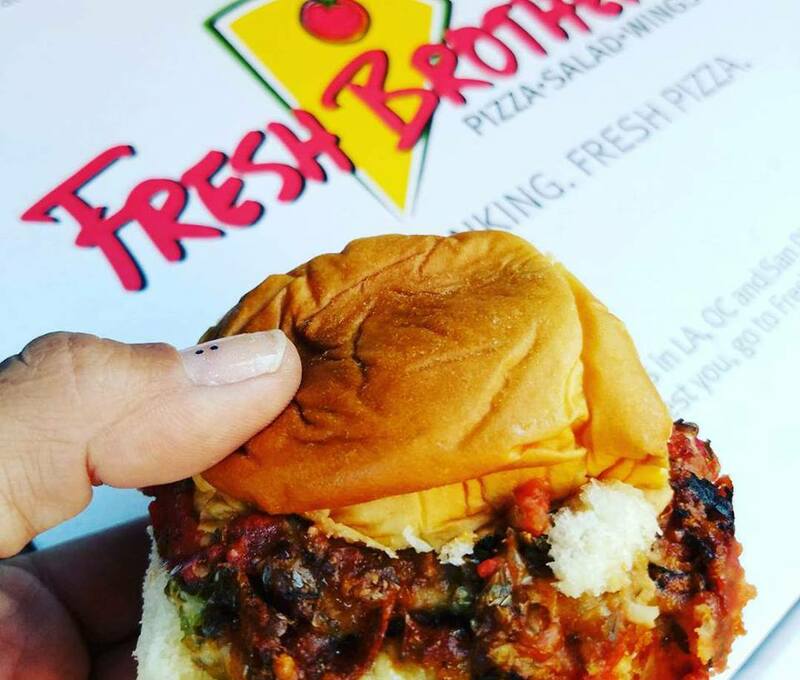 Fresh Brothers wants to help me host a giveaway to celebrate all things PIZZA!! 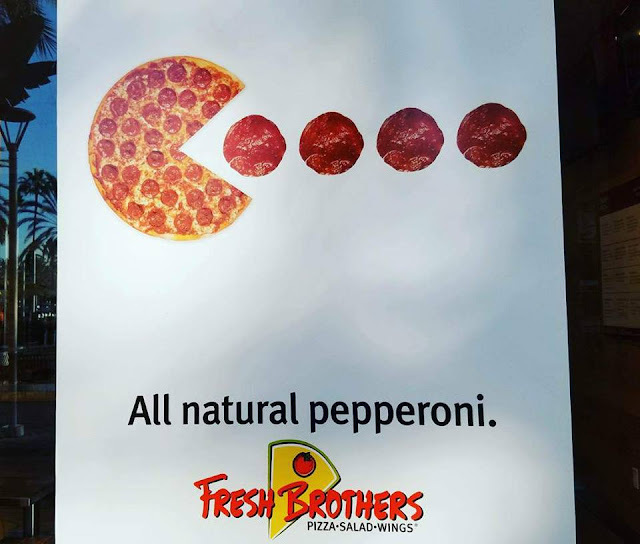 One Large Pepperoni Pizza from Fresh Brothers, featuring all-natural pepperoni (has no artificial ingredients, minimally processed and no nitrates, and tastes very, very good!). Plus, one order of sweet knots for a treat! Delivery only available for residents within 3 miles of Fresh Brothers stores located in Orange County. Pick-up or dine-in available at all stores in Southern California. No expiration, service charges or dormancy fees. This virtual gift card will not be replaced if lost or stolen.